Instead of working on my last English essay EVER....I decided to do a little pretend shopping, planning, and dreaming for my upcoming trip to Europe this afternoon. I thought the fact that I was almost done with school would be motivation enough to finish my final essays faster. I guess not...my excitement for this trip is getting out of control! Knitting // I love this sweater from Good Night, Day. I love the whole outfit actually! It looks like the perfect layers for staying warm in the cool weather across the pond this month. I would probably need tights too! 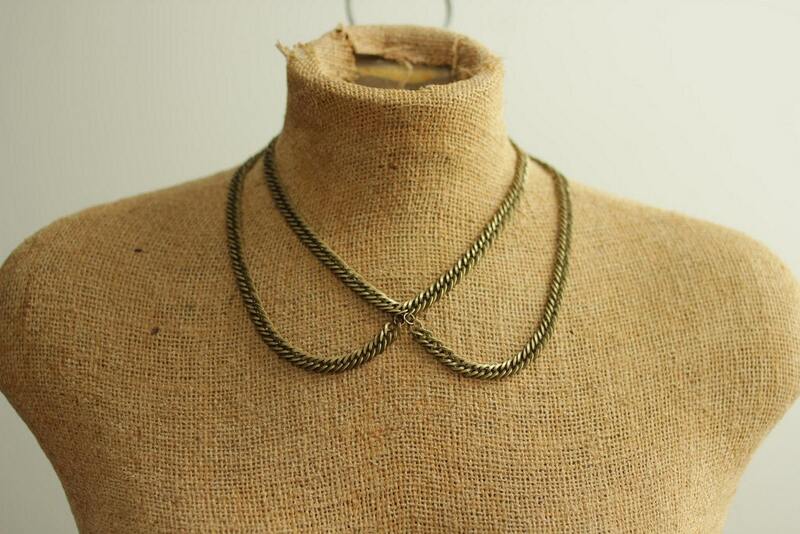 Etsy // I love this peter pan collar necklace from A Common Thread. It is so unique! Style // I'm still searching for a good bag to tote around London and Paris. This scallop backpack is a very cute option! I'm not sure if it is practical enough for traveling around the big cities with multiple cameras in tow. Food // Steph from Raspberri Cupcakes has two recipes that have me excited about both cities: For London, banana scones with whipped honey butter and for Paris, heart polka dot macarons and vanilla bean blueberry cupcakes! Yum! I hope you all had a great weekend! I managed to catch up on sleep and be productive which is not always an easy combination. I finished up one of my final essays (woohoo!) but I still have one pesky paper to go. I need some motivation! Oh wait...graduating is supposed to be my motivation. I guess I should get back to work!